Come and put on your dancing shoes and dance the night away with music from DJ Robby. First 50 people to book online can bring along a friend for FREE! Bistro open for food and drinks. For ticket purchase on the night, please arrive around half hour early. 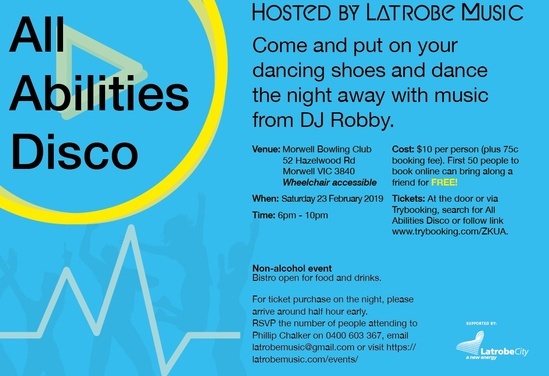 Funding support by Latrobe City Council.